Click the link below to review the Unclaimed Property Report. The City of Kennett will begin its annual fire hydrant inspection, maintenance and flushing program on April 1st and will continue through August 30th. Inspection, maintenance and testing hours will be Monday–Thursday 8am to 4:30pm. There will be no work performed Friday’s or weekends. All fire hydrants will be inspected within the City of Kennett. Due to the complexity of this project and the size of our water system itis very difficult to determine which day testing will be conducted in a specific area. The inspection, maintenance and flushing of fire hydrants is required by the Missouri Department of Natural Resources and the Insurance Service Office (ISO). Water quality & safety is our primary reason for the flushing program. Flushing hydrants will also meet ISO requirements to help lower fire insurance costs. Hydrant flushing provides your local fire department the knowledge base needed for general water volumes available, firefighting operations and whether there are any major flow changes. Hydrant maintenance is critical to fire suppression and the protection of life and property. How may this process affect you? You may notice a drop in water pressure during testing and the water may also become slightly discolored after testing. If you experience discolored water, you may wish to run water from one or more faucets for a couple of minutes until the water is clear again and you may wish to do so prior to cooking, bathing or washing laundry. The discolored water is nonhazardous but can stain clothing. 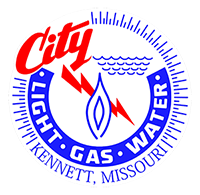 If your water does not clear within 24 hours, please contact City Light Gas & Water, 573-888-5366. 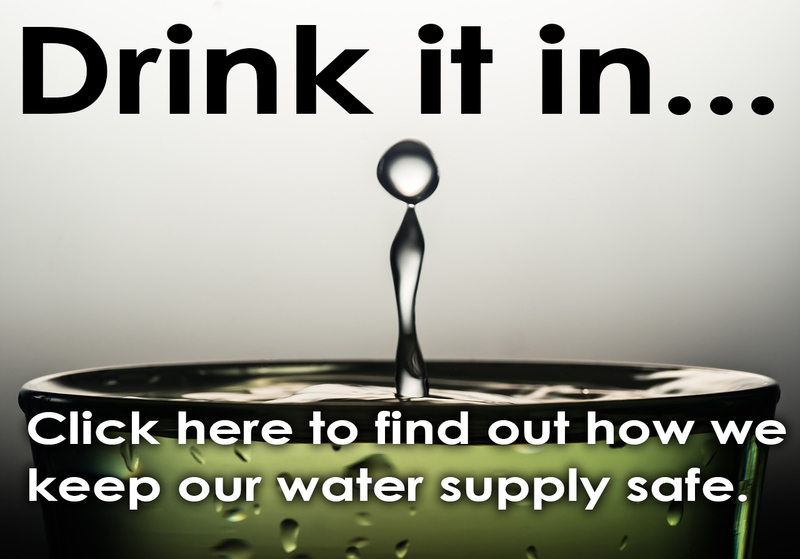 You can also visit our Water Treatment page for additional information on discolored water. The Kennett Board of Public Works would like to thank you for your cooperation, understanding, and patience with us during this operation, as we are working to maintain the level of water quality & fire safety that you deserve and expect. If you have any additional questions please feel free to contact City Light Gas & Water at 573-888-5366. Scams targeting utility customers are on the rise, according to reports across the nation. Municipal utility customers in Missouri are included among those getting recent fraudulent calls from scammers threatening power shutoffs, demanding immediate payments, or requesting personal information. CLGW cautions customers that they should never give personal or financial information to an unsolicited caller. CLGW will never demand immediate payment over the phone. • You get a call or an email claiming your services will be cut off unless you call a number or click on a link and give your account information. CLGW will never ask you to send your account information by email. • Someone calls demanding your wire the money or use a prepaid or reloadable debit/gift card to pay your bill. Legitimate companies don’t demand you use those methods of payment. • Never give out your Social Security Number, credit card number or banking information to anyone requesting it over the phone or at your home unless you initiated the contact. • Never wire money to someone you don’t know-regardless of the situation. Once you wire money, you can’t get it back. • Do not click links or call numbers that appear in unexpected emails or texts-especially those asking for your account information. If you click on a link, your computer could become infected with malware, including viruses that can steal information and damage your computer. • Never allow anyone into your home to check electrical wiring, gas pipes or appliances unless you schedule an appointment or reported a utility problem. Always ask utility employees for proper identification. • Make sure you are dealing with CLGW before you pay any amount. Confirm where and how you pay your utility bill. • To determine the status of your account call our office at 888-5366 Monday through Friday from 8:00 am to 5:00 pm, or visit our website atwww.clgw.net and use the Pay My Bill link for account information. • File a complaint with the Missouri Attorney General’s Consumer Protection Division, online at https://www.consumer.ago.mo.gov/ or by phone at 1-800-392-8222. Be ready to include in your complaint any notices received or caller ID numbers for the incoming call. • Must be a customer for a year at the same location. If you have any questions, call our office at 573-888-5366. CLGW now accepts Visa, MasterCard and Discover Credit and Debit cards. You can pay with a check or credit/debit card online, in the office, at the drive thru and over the phone. Several customers have reported receiving water line insurance offers. We want all our customers to know that this is not associated with CLGW. Please discuss this offer with your insurance agent. Signup for ACH payments or paperless billing in the CLGW office for a chance to win a $50 utility bill credit. One winner will be drawn each month. CLGW will send out text alerts from the DDD sponsored by First National Bank. To sign-up to receive them click here. As required by the U.S. Department of Transportation, you are hereby notified that an excess flow valve (EFV) which meets the minimum DOT performance standards is available for installation on your natural gas service line. Please note that such a device is not required for the normal, safe operation of your service line, but could help to mitigate the consequences of a service line failure by shutting off the flow of natural gas automatically in the event of a service line break. To install an EFV, CLGW gas department personnel will be required to expose your service line near the main, disconnect your service line from the main, install the EFV, and reconnect your service line. The cost of the installation will vary depending on your situation, not to exceed $500. Costs for maintaining and replacing an EFV may later be incurred at a charge of up to $500 per instance. EFVs will be installed on a mutually agreeable date. To request an EFV installation quote or for more information, please call 573-888-5366.